Together with their respective memory allocation functions (which I’ll omit for now), those two structs are enough to define a BT. Before we get into actually filling a tree with stuff, let’s assume we have a tree and take a look at tree traversal. Traversing a tree means visiting all the nodes in the tree data structure. Whilst linear data structures (arrays, linked lists etc) have a default traversal order, trees do not. The traversal methods are classified according to the specific order in which the nodes are visited. Specifically, we are interested in breadth-first and depth-first traversals. Depth-first searches (DFS) start at the (sub)tree root and “sinks” down until it reaches a leaf. Breadth-first searches (BFS) start at the root and exhaust all of its children before descending any further. Visiting in DFS can be done pre-order, in-order or post-order. The “order” refers to the specific time when we visit the root: before, after or in between visiting the sibling(s). In other words, for every node in a BST (with unique elements), all values to the left are smaller and all values to the right are bigger than it. Note that this may appear similar to the heap property but is not the same at all: unlike with the heap, BST siblings and cousins are ordered in a specific way. Starting at the root, we float down – moving left and right – until we reach the correct position for the node we’re inserting, always keeping track of the current node’s parent so it can be updated accordingly. Together with a in-order DFS traversal, we can already do something useful with our BST tree: ordering a random set of values (integers in our case). Several other operations commented with concise explanations and printable tests can be found at data_structures/binary_search_tree.c in the blog’s Github. Next post we’ll (probably!) 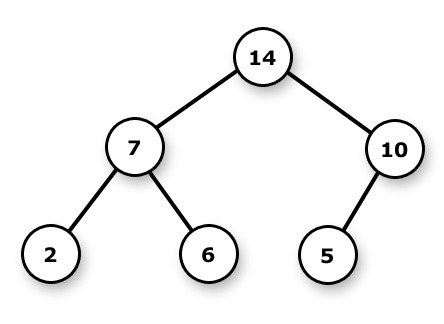 cover the AVL tree, which is another kind of binary search tree.